Connecticut Parrot Rescue (CTPR) will be joining the Catherine Violet Hubbard Animal Sanctuary for the 5th Annual CATHERINE’S BUTTERFLY PARTY on Saturday, June 8th from 12-4pm at Fairfield Hills in Newtown, CT! 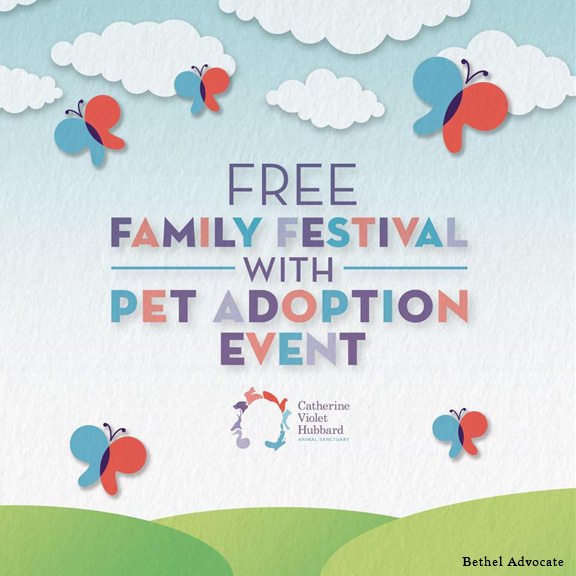 This FREE family festival with super pet adoption event welcomes thousands every year and features over 100 adoptable animals from 20+ rescues, family friendly activities & games, live music, nature exhibits, food trucks and so much more! The Catherine Violet Hubbard Animal Sanctuary will be the national model for providing a safe-haven and a place of serenity for animals in need of healing. Connecticut-based parrot rescue, offering grooming, educational clinics and more.